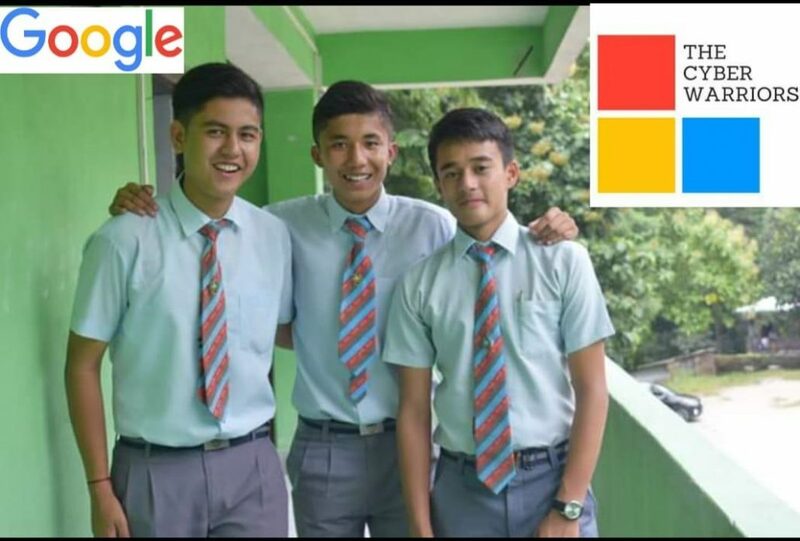 The three students from East Sikkim who have won the Google Web Rangers India contest 2019. Three students of Holy Cross School, Tadong in East Sikkim have won the Google Web Rangers India contest 2019. Rishal Pandey Chettri, Sewandeep Sharma and Aditya Chettri, who completed their tenth board examination from Holy Cross School, have won this competition which is active in 20 countries worldwide. The trio formed a youth organisation ‘The Cyber Warriors’ to spread Digital Literacy among people. They executed a campaign to spread awareness regarding cyber threats and to provide innovative solutions and had organised awareness camps, quiz and slogan writing competition at various places in Sikkim and had a reach of over 50,000 + both online and offline. It may also be noted that this is for the first time that a team from the Northeast has won this contest. The trio will be awarded at a ceremony in New Delhi later in May. To spread awareness about Internet safety and promote digital citizenship, Google announced the fourth edition of its “Web Rangers” contest in 2018 to reward school students who know how to stay smart, safe and savvy online. The competition aims at encouraging the teenagers to unlock creativity in highlighting the importance of cyber safety, the company said in a statement. The national contest was open to students within the age group of 10 and 17 years and the deadline for submitting the entries was January 21.